Established in the year 1990, G. B. 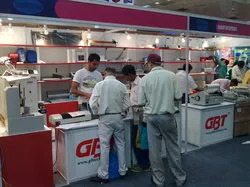 Tech (India) is engaged in manufacturing and exporting a wide range of industrial binding, pouch lamination machine, paper shredding machines, cd shredding machines, spiral binding machines and laminating machine. 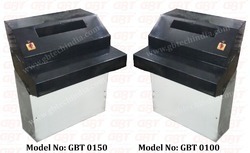 We also offer currency counting, printer and copier machine. 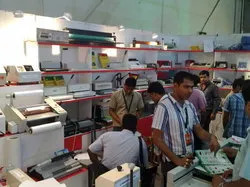 Our range encompasses Binding Machine Comb, Binding Machine Wiro, Binding Machine Sure, Binding Machine Thermal, Binding Machine (Perfect Glue), Printer & Copier Machines and Office Furniture. In addition to this, we also fabricate Lamination Machine With Accessories, Lamination Machine Roll To Roll, Binding Machine Spiral With Accessories, Paper Shredder Heavy Duty, Paper Cutter Machine, Currency Counting / Detection Machine, ID Card Machine Material and Paper Shredder. These are appreciated for their trouble free operation, resistance against shock and low maintenance. 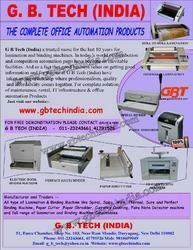 The other products offered by us include office automation machines. We have hi-tech infrastructure, highly professional production management team, sound quality assurance and R&D department. Our products undergo stringent quality tests to ensure their flawlessness. These are regularly improvised by the team of researchers who conduct thorough market research to keep in line with the industry requirements & standards. 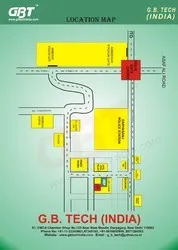 Our logistics department coordinates to ensure on time supply of goods to the client’s end. 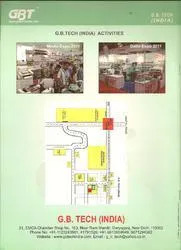 The quality range and timely delivery has enabled us to garner a vast client base across the globe. Our organization has established a respectable position in the industry under the able guidance of the owners. The industry experience and business acumen has enabled us to understand the needs of the clients. We have a strong dealer network covering most parts of the country and this enables us to meet the diverse requirements of the clients. These members work in coordination with each other to maintain proper channel of work. Our professionals maintain a strict check on the production process and keep themselves abreast of the latest developments to match the latest requirements of the industry. In addition to this, we also organize regular training sessions for the members to enhance their skills. Being a client centric organization, we endeavor to offer a quality range of industrial binding, laminating and paper shredding machine. Our team has the expertise of designing and manufacturing currency counting, printer and copier machine. These machines are produced in the technically advanced production unit and further, tested to ensure that the products are at par with the international standards. In addition to this, our researchers regularly improvise the range and keep in line with the industry requirements. We pack the range using high quality material and ensure that the products are timely delivered to the client’s end. Our ethical business policies and smooth production process have enabled us to garner a vast client base in the international market.